He's baaaaack! 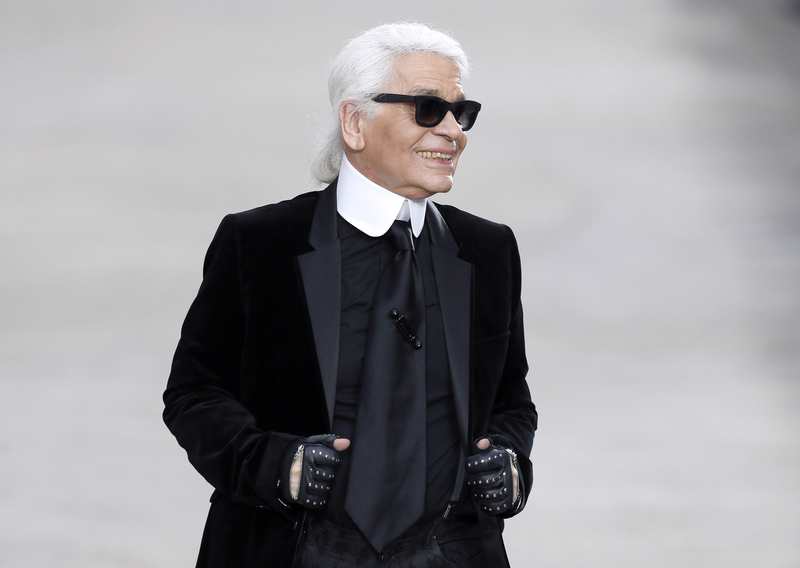 Well, it's not like he ever really left, since he has his fingerless glove-wearing hands in a lot of luxe brands, but beloved designer Karl Lagerfeld will officially see his namesake label brought back to the U.S. The New York-based line, which launched in fall 2006 and was then discontinued, is being exhumed with a clear and focused strategy, according to Women's Wear Daily. Lagerfeld is the creative force at Chanel and Fendi, a fact of which most fashion lovers are well aware. His luxe designs inspire plenty of fashion lust, but this Karl Lagerfeld range will be a part of the "affordable luxury" category which is growing by leaps and bounds in the U.S. and will no doubt make Lagerfeld items and pieces available to a wider cross section of consumers. Basically, if you have dreamed about having something with a Lagerfeld label of some sort in your wardrobe, it's now even more possible! You can expect quality items that won't cost a month-and-a-half of rent and that won't sink you into deep credit card debt in order to own them. Here's everything we know about Lagerfeld's rebooted contempo label, which comes as part of a partnership with G-III Apparel Group. The range will be available next spring, so while it might seem like an eternity, it's really not that long. Patience is a virtue, people! Plus, it'll be worth the wait. Think about all the upcoming teaser ads, images, videos, and more! I'm already wondering which model will front the line. Kendall Jenner? Gigi Hadid? Karlie Kloss? I'm bursting with excitement and curiosity. The range will first focus on women's clothing and handbags, according to WWD. It will also include men's outerwear. Department stores will carry the items, but the brand has plans to open a New York flagship as soon as 2016. Moving full steam ahead, it seems. Things like fragrance and cosmetics, as well as sunglasses, watches, and jewelry, are not a part of this label revamp at this time. So no beauty and no accessories. I'm sure we'll all be able to deal with that just fine, since the clothes and bags will be tres chic. So while Spring 2015 still has two more weeks left, I'm already planning ahead for spring 2016 when Karl Lagerfeld's contempo line establishes its footing in the U.S. There's nothing wrong with a little forward thinking, right? Right!